Dr Dylan has a reputation for being an honest, dedicated dental practitioner. Not only has he been caring for Newmarket families for just over two decades, he’s also well respected throughout the industry as a leader in cosmetic dentistry. Have you ever felt like other dentists aggressively promoted treatments that you may not have needed? Dr Dylan knows when it’s ok to watch and wait on conditions, depending on your smile goals. His vision is to provide options that fit your lifestyle, as well as your budget. Dr Dylan is also highly regarded as a respected lecturer, travelling to educate dentists in Australia, Brazil, Singapore and Indonesia. He has conducted numerous seminars and workshops both nationally and internationally, lecturing on the latest aspects of cosmetic dentistry. It was an honour for Dr Dylan to be invited back to speak at the Fahl alumni meetings. He was one of just a handful of international students to achieve this distinction. He is a founding member of the New Zealand Academy of Cosmetic Dentistry and maintains a private practice in Newmarket, Auckland with a focus on reconstructive and aesthetic dentistry. Dr Dylan sees dentistry as a way to implement science along with artful skill. In fact, he’s always eager to take on bigger, more challenging cases here at Aevitas Dentistry in Newmarket. Dr Dylan will tell you that dentistry is his life, but he also has two children that keep him busy. One of their most enjoyable activities is biking, and he’s known to put in 300-400 kilometres on his bike — per week! Find out for yourself why so many of our Newmarket patients refer their friends and family to Aevitas Dentistry. 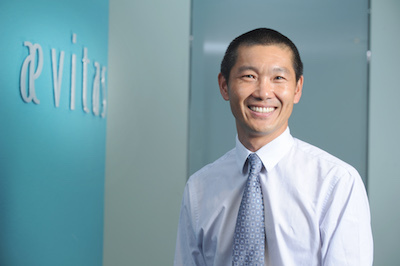 Schedule your first visit with Dr Dylan Yung by contacting Aevitas Dentistry today.